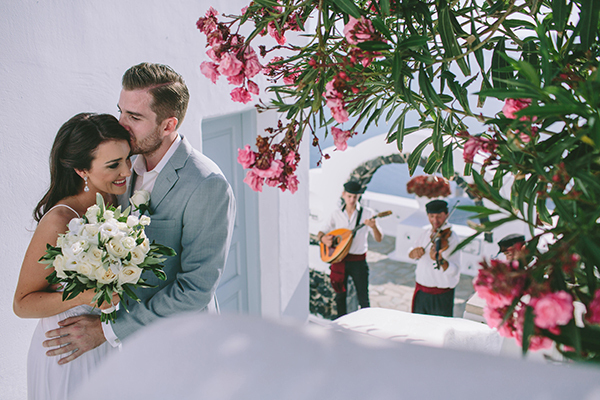 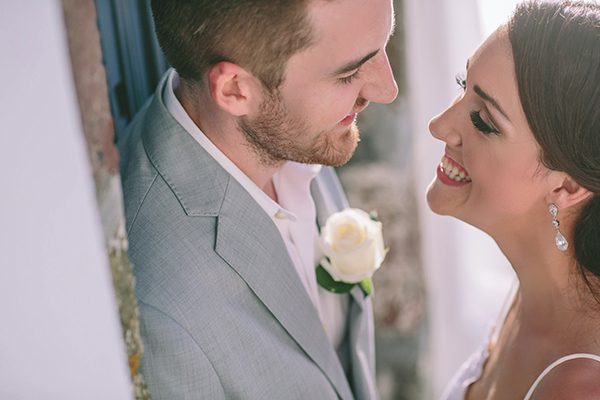 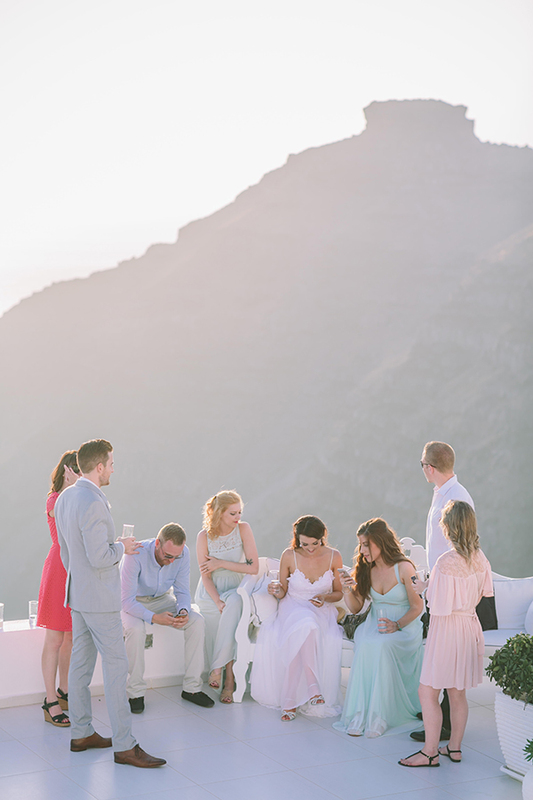 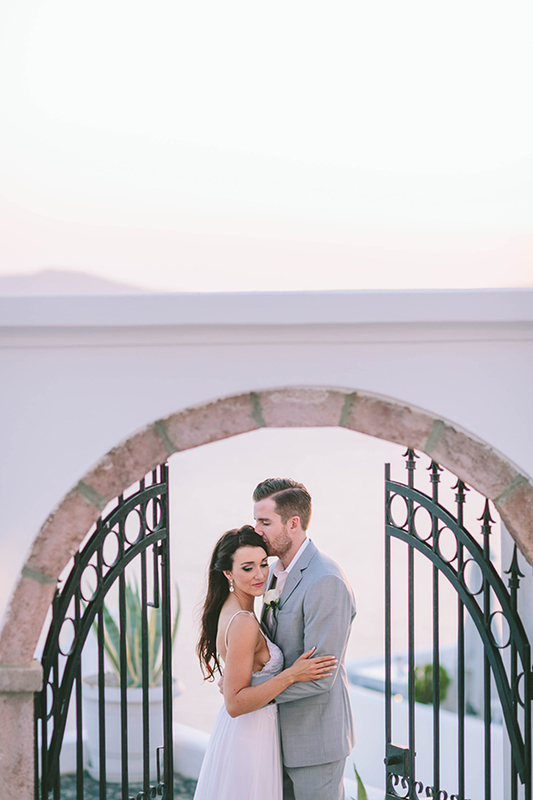 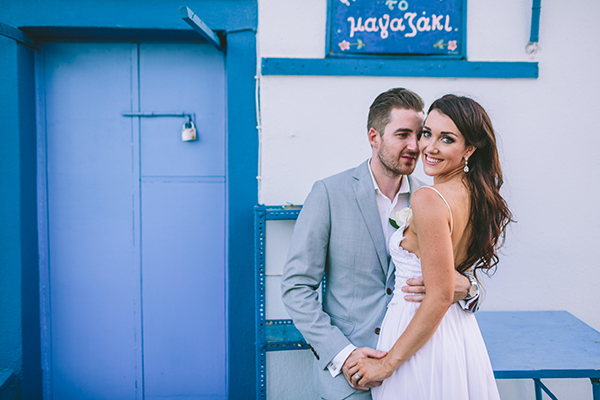 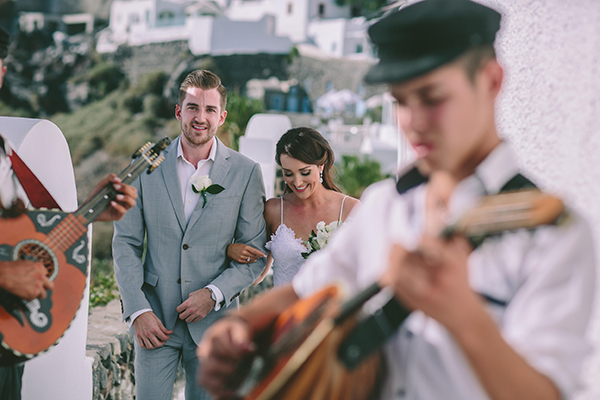 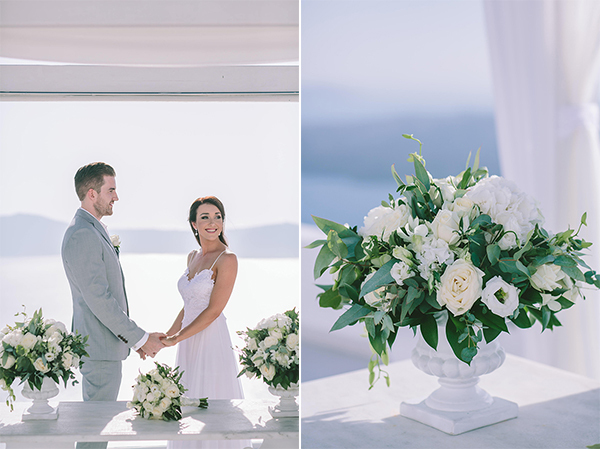 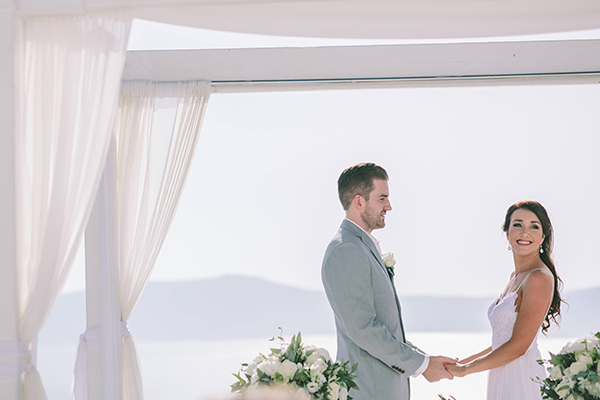 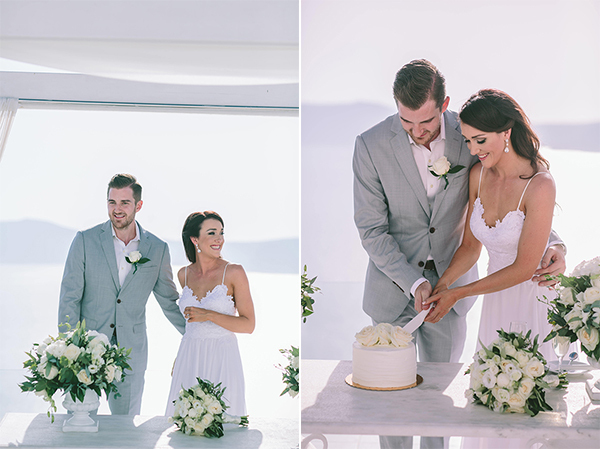 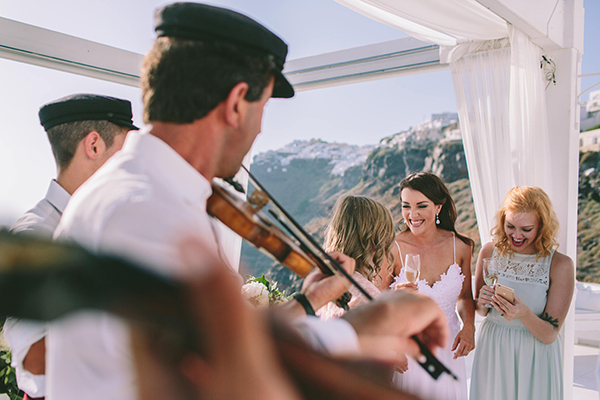 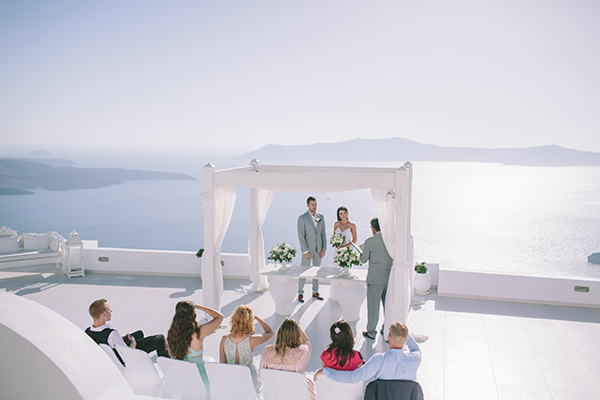 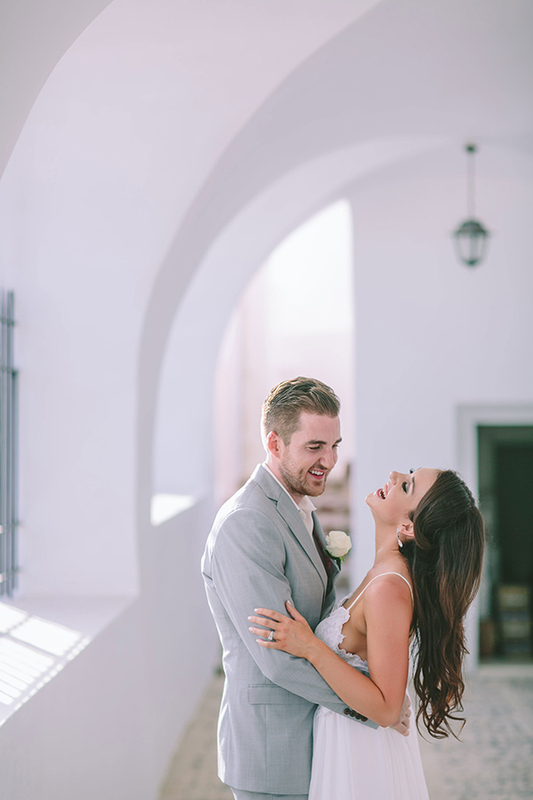 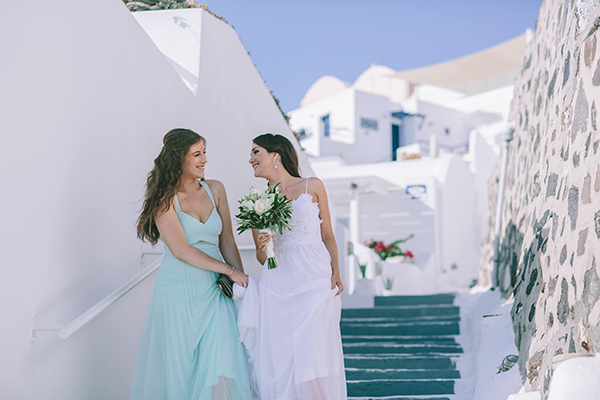 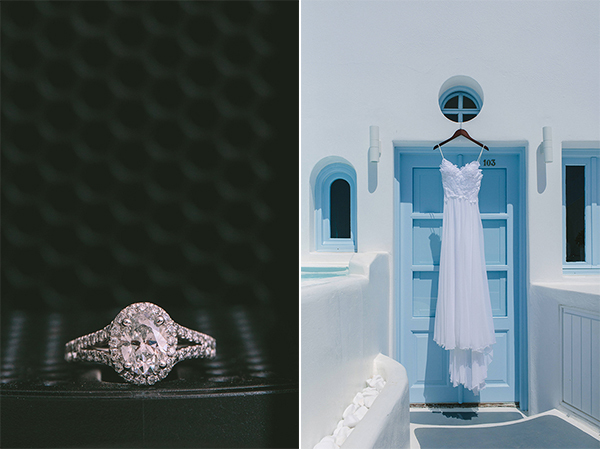 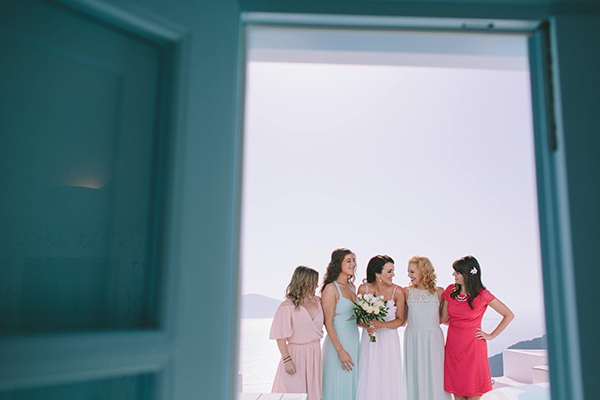 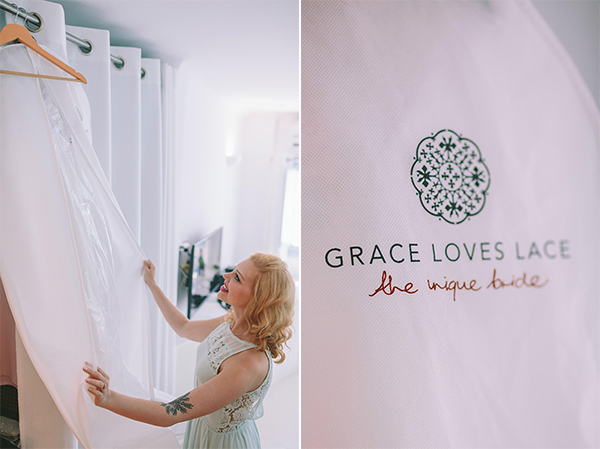 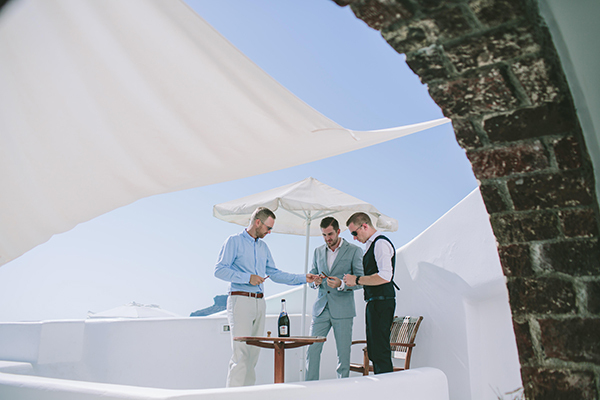 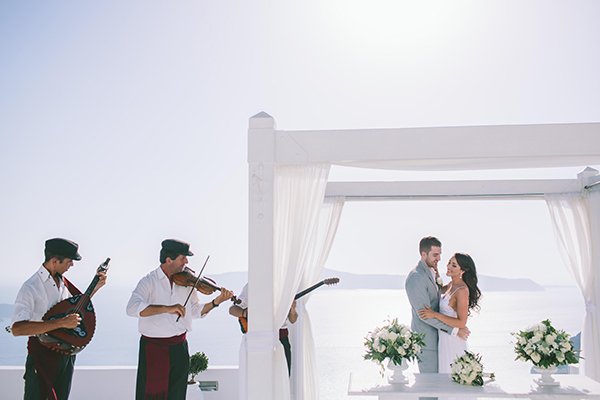 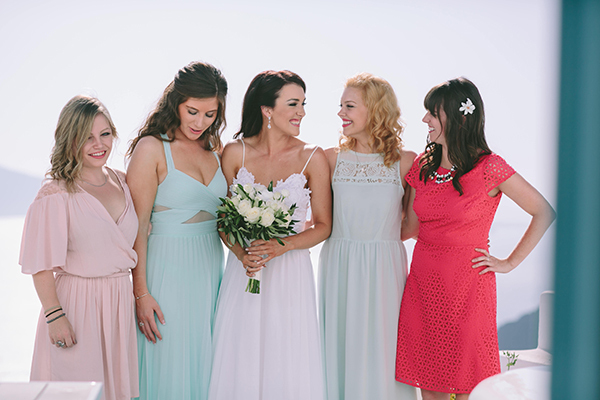 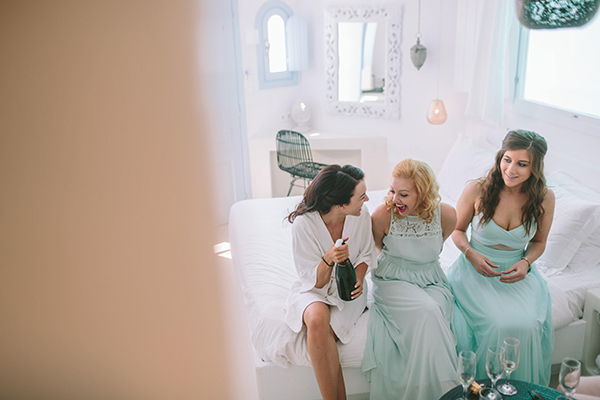 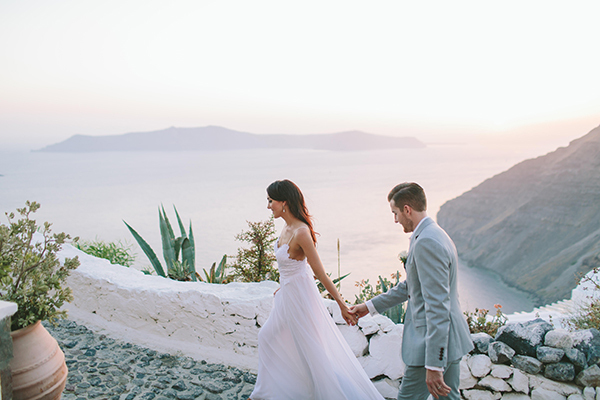 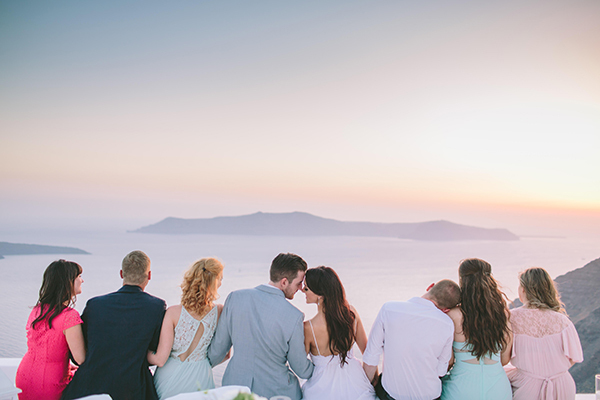 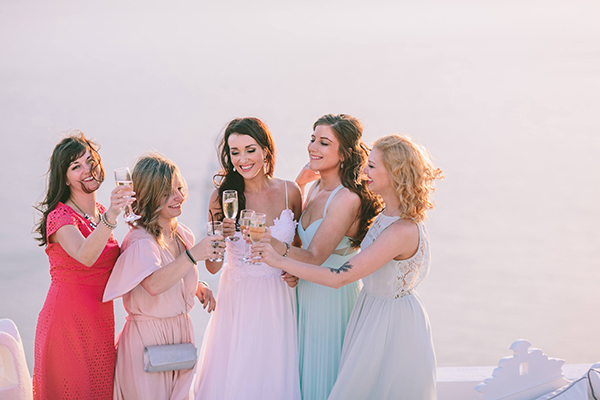 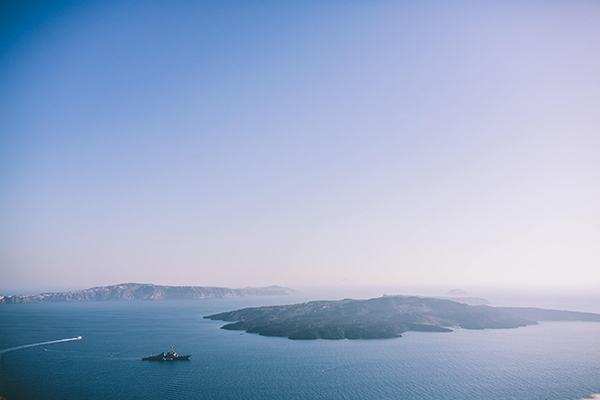 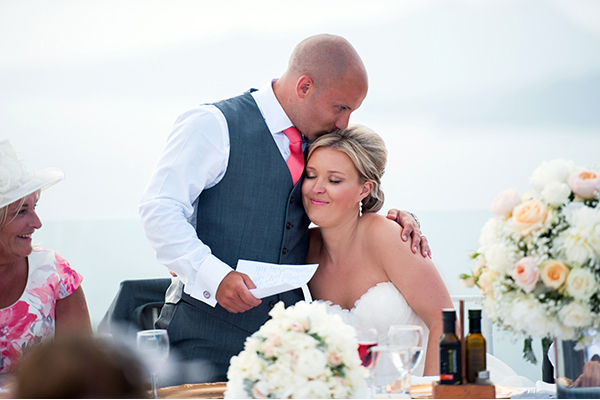 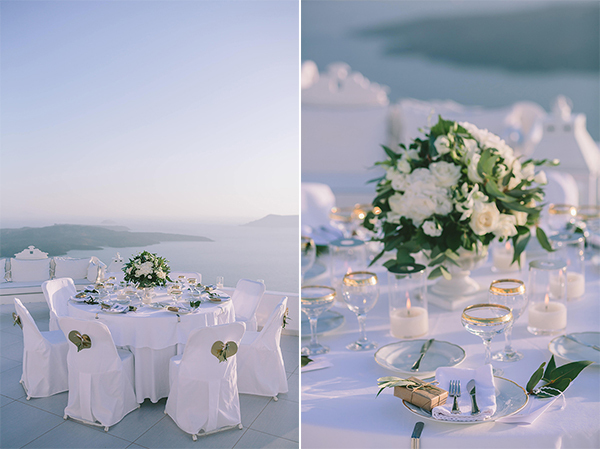 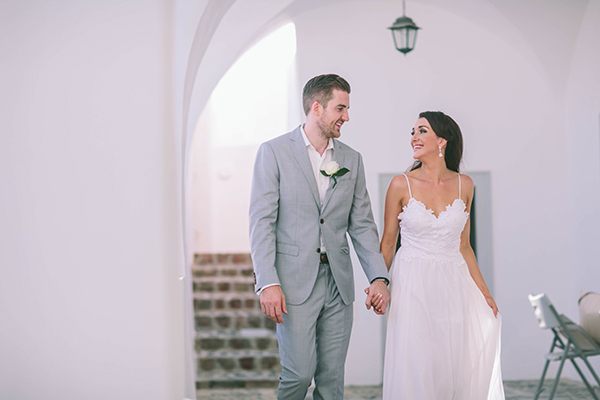 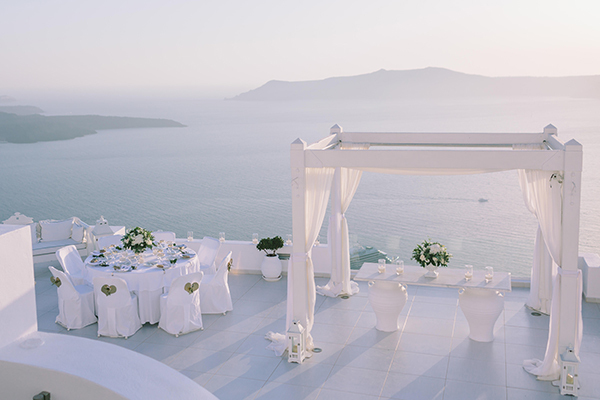 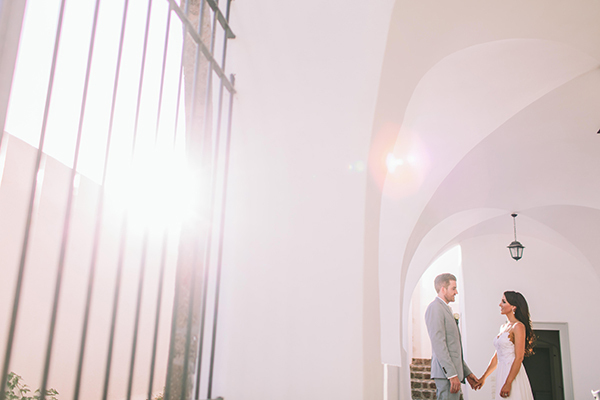 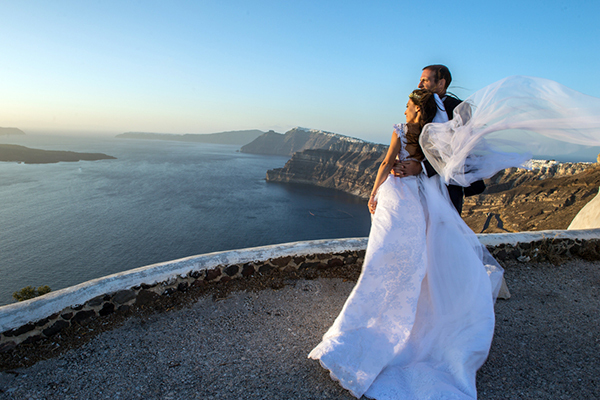 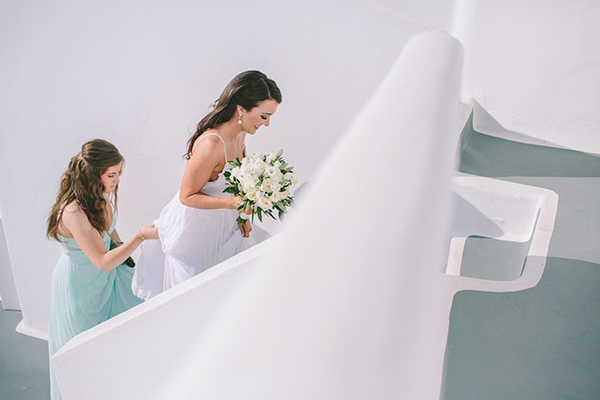 This beautiful Santorini wedding is all about effortless romance and amazing Greek island scenery. 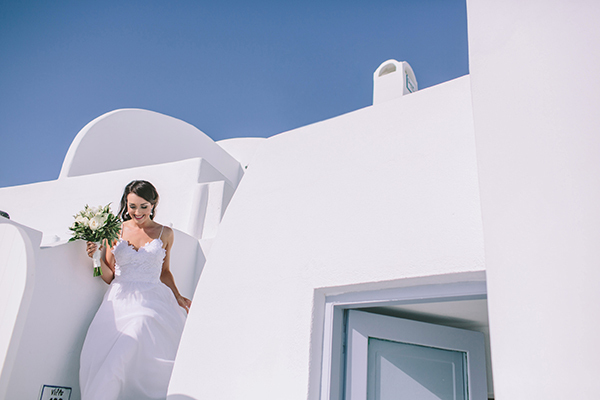 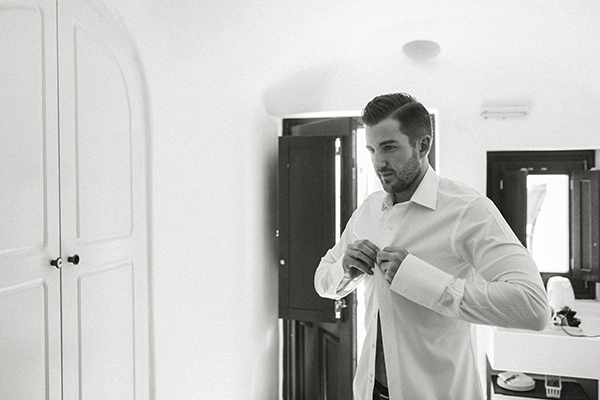 The wedding ceremony took place at Dana Villas and with George Pahountis behind the lens you know you are to see magic unfold! 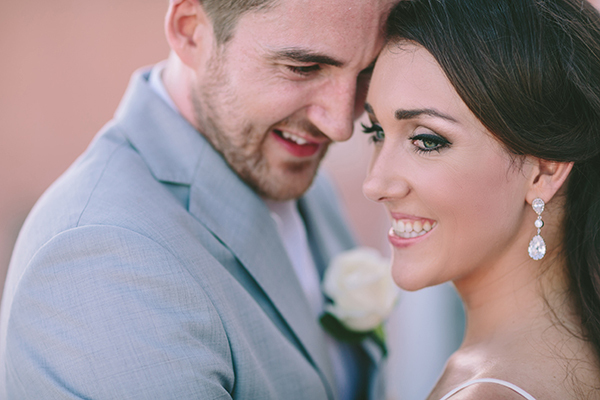 “We met in Calgary, Canada – I’m Australian and he’s Canadian. 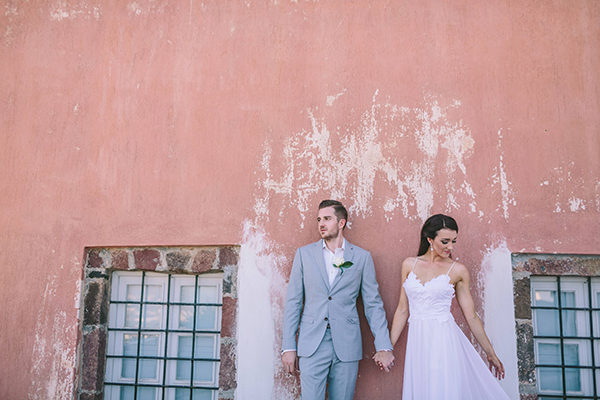 I was living in France at the time and went to Calgary for a short work stint when I met Allan and I ended up staying until we moved to Australia together a year later! 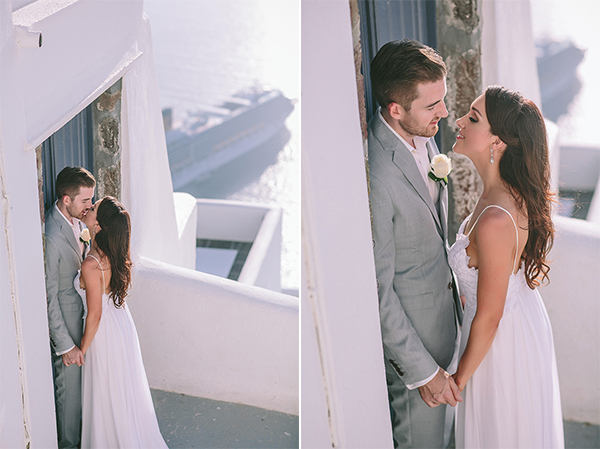 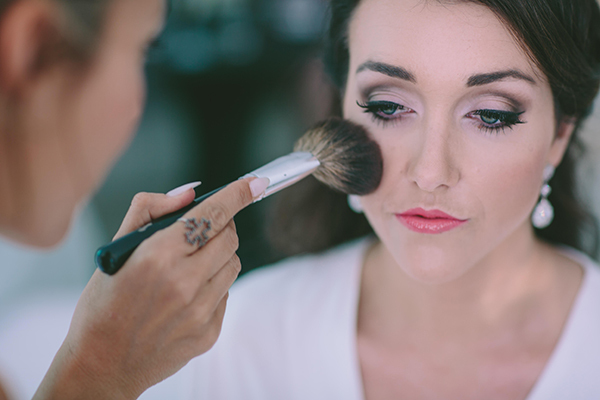 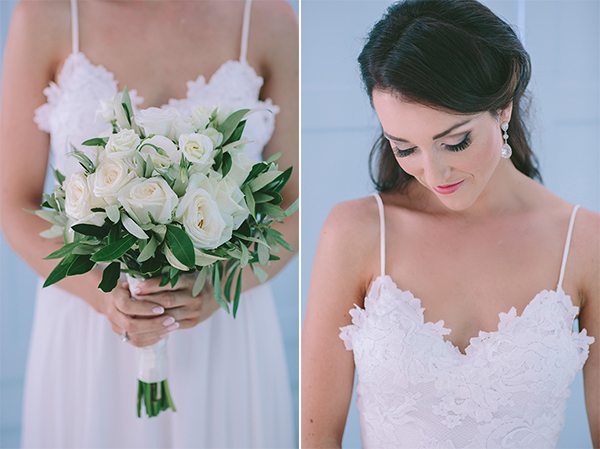 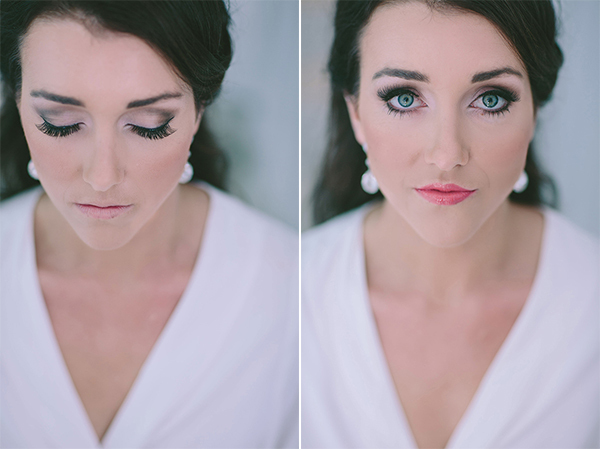 Life is full of surprises and meeting him has been one of the best ones yet!”, the lovely bride shared with us.